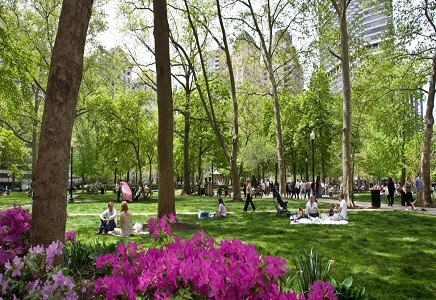 A historic public park and surrounding neighborhood, Rittenhouse or Rittenhouse Square, is among Philadelphia’s most highly-desired neighborhoods. Known for being one of the country’s highest-income urban neighborhoods, the tree-filled park is surrounded by high-rise residences, popular fine-dining restaurants, upscale retail, and a five-star hotel. Rittenhouse is characterized by tree-lined streets and historic Philadelphia rowhomes. The average price per square foot for a home in Rittenhouse is $518. The neighborhood’s boundaries are 22nd Street to the West, 18th Street to the East, Walnut Street to the North, and Lombard Street to the South.